Welcome to West Virginia Early Childhood Positive Behavioral Interventions and Supports (WV ECPBIS) website. 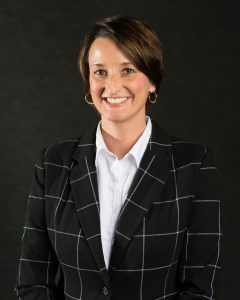 WV ECPBIS is a collaborative effort between the West Virginia Autism Training Center at Marshall University and the West Virginia Department of Education. Our goal is to improve the social and emotional development and competence of young children utilizing the Pyramid Model. This approach builds on the work of the Center on the Social and Emotional Foundations for Early Learning (CSEFEL) and the Technical Assistance Center on Social Emotional Interventions (TACSEI). 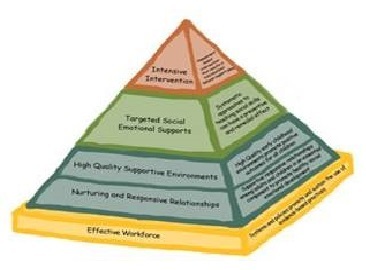 WV ECPBIS promotes the Pyramid Model through evidence-based, early childhood social emotional and inclusive practices in early childhood educational settings. Click here for information and resources if you are an early childhood educator and using ECPBIS in your classroom. Click here for information if you have a child participating in an ECPBIS classroom. Click here for information on the T-POT, coaching materials, trainer information, and if you are interested in becoming a coach or trainer in the future. West Virginia ECPBIS is a collaboration between the WVDE Office of Special Education and the WV Autism Training Center at Marshall University. Look here for examples of school videos.